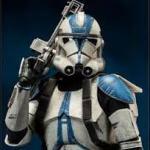 Captrex_501stlegion had the most liked content! Honestly, looking at your stats, i would say that you are a really good applicant. I would consider redoing the MCAT if one of the sections is a bit on the low side. However, if I were you I would also consider a master's. A master's gives you enough info and training about research without being too involved like a PhD and for competitive residencies, research is a pretty big plus. And from what I have seen, a master's in medicine is a really big bonus for your career. A lot of the students in my master's program are residents and physicians (I am part of the undergrad minority), and they all highly recommend one, which is why I just switched from a one year coarse based to the thesis stream. In all, a master's won't hurt you, just benefit you. In a 30+ year career in medicine, what's another 2 years. Just got my rejection. Thank you everyone for making this process a bit more bearable and good luck!!! Guys, admissions office is saying that theyll likely all be out by the end of today. Hang tight and try to keep busy. Oh man, I'm sorry to hear that. Please tell me i'm not the only one on edge because of ^this news. I don't care if I was rejected at this point. I just need some closure to help me move on. The ambiguity of this process is killing me. I have had to decide if I will be switching into the thesis stream of my masters, instead of the course based that I was in because i have not heard back yet. If I do get an interview and get accepted ill likely have to beg for a deferral and likely pass it up because UofT cannot figure out a better way to do this. My friend with a 123 chem/phys got rejected on Monday. It does not take a genius to get a computer to send automatic rejections for those candidates. I think it was taken down by one of the admins to clean it up from discussions. Ya ive gotten my rejections on March 16 for the past two years. I think next week will be the final wave of interviews and the big rejection wave. Welp I tried to get a feel of how things are going by telling admissions I might need to make a change to my OMSAS because one of my papers got accepted and they were super tight lipped if my file has been reviewed lol. To be expected, but the wait is so killer. If you look at the accepted/ rejected page there are a few rejections. Other recipients likely wont post. Have any rejections been sent out? Not necessarily true. I have a friend with a 123 Chem that has not heard back yet. Interview invite with wGPA of 3.83 possible? Sorry, i do not mean to bother you but do you think that the cutoff is 3.8 after the weighting or before?